I am settled in now and things are moving forward! The Opening Ceremony and Artist Talk took place Sunday April 17th at the Wuhan Art Museum and the Augmented Reality Workshops got under way Monday April 18th. We seem to have generated significant buzz in the community. So exciting to have it happening after months and months of preparations! We had 53 participants the first day which thinned down to about 35 five regular attendees. Through a series of exercises, particpants are learning how to create geo-located augmented reality. Geo-located Augmented Reality allows people to experience alternative realities at site-specific locations. The public can simply download and launch a free mobile app and aim their devices’ cameras at the surrounding physical place. The application uses location detection technology to superimpose virtual objects, people or scenes at precise GPS coordinates, enabling the user to immerse themselves in the work as if they existed in the real world. Community participants include faculty and students from the Hubei Institute of Fine Arts, the Central China Normal University, the Wuhan Textile University and other community members at large. Each participant will be given wall space and a projector in K11’s exhibitions gallery to prepare poster style proposals for the micro-grant competition. 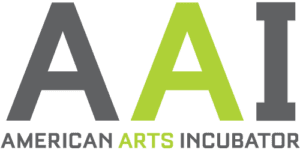 On April 23rd the public will be invited to a community exhibition event where a panel review will be conducted to choose the four micro-grant recipient finalist teams. During the implementation and engagement phase of the project, four micro-grant recipient finalist teams will be dispatched out into the city to create their own augmented reality scenes that document those parts of the city which best represent their sense of the change. 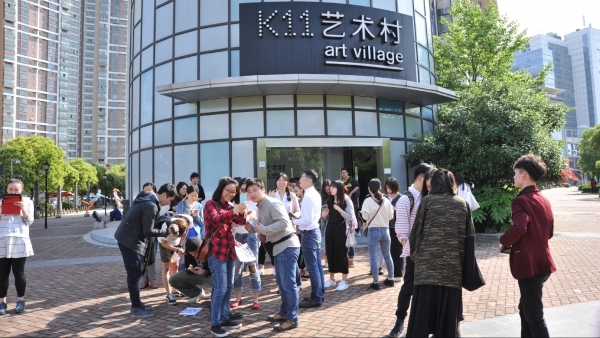 The resulting virtual work will then be placed at the precise GPS location of the portal gate in the courtyard of the K11 art village.